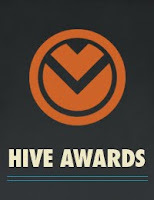 I have admittedly been bad about the frequency of my updates here this month - busy trying to get the Hive Awards off the ground. Microsoft Bing is now one of our sponsors - look for more announcements on that front shortly. And now for the treat: former SNL cast member Rachel Dratch ("Debby Downer" and others) and comedian Billy Eichner put together this spoof of Jay-Z & Alicia Keys' "Empire State of Mind." I try and keep the personal off this blog, but this hit home: this is where I grew up, went to high school, etc. I can pretty much tell you where every shot was taken. And while it's particularly funny if you grew up surrounded by "lots of women with fur and diet pills" and attended dozens of themed bar and bat mitzvahs, I am assured by friends who didn't that, like Seinfeld, the humor is pretty much universal. PS: I contacted Eichner to request a downloadable copy and tell him how much I enjoyed the video - we exchanged a couple of emails and he's a very nice guy. You can follow him on Twitter too and find out where he's playing.